Why Buying A Used Car From A Garage Is Best! Used Car Sales: Buying From A Garage Is Best! There are so many ways to purchase a used car in the modern market, mostly thanks to the multitude of options the internet provides. However, knowing where your car is really coming from is a trickier business. The risk with car sales through private or independent sellers is that they can be notoriously bad with ‘forgetting’ car faults, or otherwise simply failing to mention them. The most corrupt of this sort will buy a used car on the cheap knowing that an internal issue is the cause of the reduced price, but will then go on to sell it at a premium. 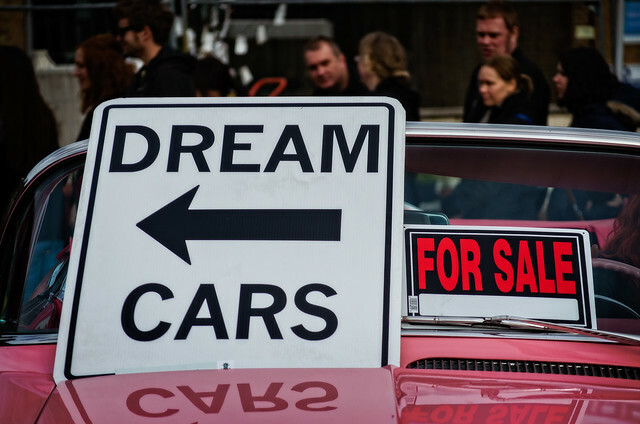 Used car showrooms do a great job, providing a selection of used cars that come from a variety of sources, like auctions, part exchanges and ITK trading. However, many of these showrooms lack a vital component that makes buying a used car from a garage or service centre the best method. The missing component is the vehicle technicians! Garages are filled with mechanical experts who are able to give a professional vehicle health check, as opposed to a quick ‘once over’. Vehicle technicians will not only make sure that the car is running smoothly, legal and safe for the road, but they can also estimate the health of the car parts, like tyre tread depths. If there are faulty car parts, a garage is the best place for the car to be! Buying from a garage also provides the safeties of buying from a used car showroom, like warranty and finance. Surpassing those benefits, the inclusion of free or discounted MOT checks and servicing is something that should surely entice any customer to consider this avenue of vehicle acquisition. Here at In Town Automotive, we are often credited for our honesty and integrity and this is carried through into our used car sales preparation. Every used car or van we have for sale has been serviced, MOT’d & valeted and had any necessary remedial work completed, giving you peace of mind that you will not get down the road and start having problems. For extra peace of mind and credibility all our cars come with a minimum 3 month warranty so in the unlikely event you do have an unforeseen problem we will endeavour to resolve it immediately, and not forgetting that most car sales will qualify for 3 Years FREE SERVICING too. This entry was posted in Used Cars and tagged buying cars, car parts, car sales, car servicing, garage, mot centre, used cars on 27th November 2015 by admin.